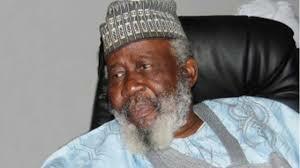 A former president of Nigeria’s Court of Appeal and first chairman of Independent Corrupt Practices and Other Related Offences Commission, Justice Mustapha Akanbi, has died aged 85. He died at about 2 am on Sunday morning and is expected to be buried later today. Born September 11, 1932, in Accra, Ghana, Akanbi was educated in Nigeria and London. He was called to the English Bar in 1963 and was called to the Nigerian Bar in January 1964. He joined the Ministry of Justice and became a Senior State Counsel in 1968. In 1969 he set up in private practice in Kano. Akanbi was appointed Judge of the Federal Revenue Court, (now known as the Federal High Court) in 1974. He was elevated to Court of Appeal Bench in January 1977 and after a distinguished service period of 25years, he voluntarily retired as President of the (Nigerian) Court of Appeal in 1999. It was in recognition of his distinguished career, as a forthright and incorruptible judicial officer, that he was appointed in the year 2000 by the President of Nigeria to head the newly established Independent Corrupt Practices and other Related Offences Commission (ICPC), a body vested with the statutory responsibility of combating the malaise of corruption within the Nigerian polity. On completion of the first term of office in year 2005, he politely declined the opportunity offered him to serve another term of five-years. He is a well-respected nationalist and jurist and an embodiment of piety. He is a Commander of the Federal Republic of Nigeria (CFR).